As part of its Smart Nation program launched in 2014, Singapore will deploy the most ambitious data collecting effort on daily living. In a sweeping effort that will touch the lives of all residents of Singapore, in ways yet undetermined, the government will deploy a next level data collecting initiative. Singapore is already known for its high level of scrutiny: authorities use systems that monitor littering or smoking, for instance. Officials claim the program is meant to improve government response to citizens’ needs. A similar concept was used when installing sensors in some elderly homes that can alert families in case of unusual activity. However, the sweeping nature of the reform and its lack of public scrutiny raise serious concerns. In Singapore, such measures don’t require court approval or citizen consultation. This unchecked access to private information is coupled with a high concern for data security. Unrestricted access to a treasure trove of data comes with many security vulnerabilities. However, faith in the government is high with the public used to the limits imposed on behavior by the authorities. While effectively a democracy, Singapore is highly centralized, having a solid one party majority. The central piece of the new system is a digital crystal ball which would record all terrain and architecture details, building a massively detailed 3D map of the city. Collecting such huge amounts of data will result in application for it that are yet unforeseen. It is a build and they will come approach, as one of the managing directors involved in the Smart Nation project said. A few initiatives are already in use, such as monitoring smoking in prohibited areas and littering. The seriousness of the policies is evident in the fines resulting from breaking the law: last year, the government fined a 38 year old man $14,000 for littering by throwing cigarette butts from his window. Singapore has also tested systems using citizens’ smartphones to measure road bumpiness which can be used to determine road maintenance requirements. Other initiatives include mandatory satellite-linked devices that will be placed in all Singapore-registered vehicles to charge tolls more precisely, based on distance driven. 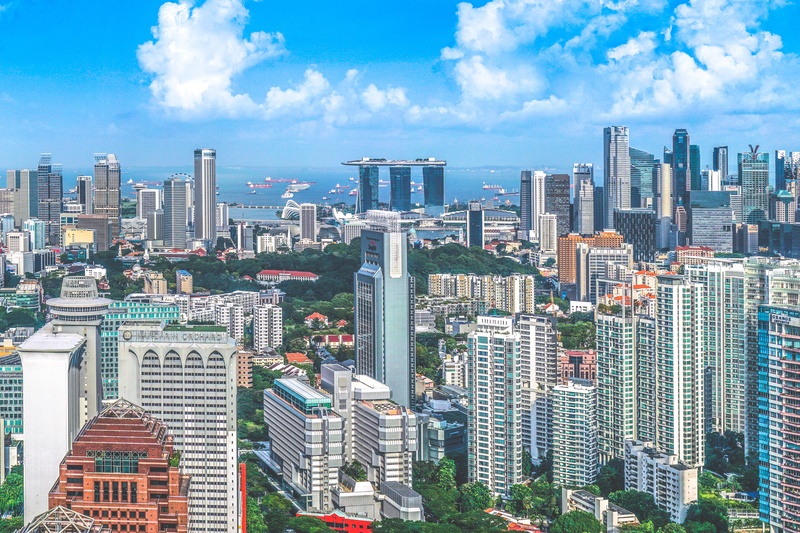 While data collecting has been used by other big cities in order to improve government services, no effort comes close to the extension and ambition of the Singapore project.